A major power with access to nuclear technology, China has a significant impact on international nuclear weapons proliferation, but its attitude towards the spread of the bomb has been inconsistent. China’s mixed record raises a broader question: why, when and how do states support potential nuclear proliferators? This book develops a framework for analyzing such questions, by putting forth three factors that are likely to determine a state’s policy: (1) the risk of changes in the nuclear status or military doctrines of competitors; (2) the recipient’s status and strategic value; and (3) the extent of pressure from third parties to halt nuclear assistance. It then demonstrates how these factors help explain China’s policies towards Pakistan, Iran, and North Korea. 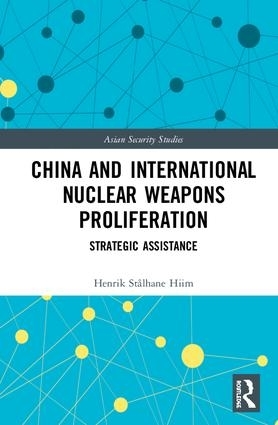 Overall, the book finds that China has been a selective and strategic supporter of nuclear proliferators. While nuclear proliferation is a security challenge to China in some settings, in others, it wants to help its friends build the bomb.